Skyrim mods, they’re the gift that keeps on giving. Years after the fantasy RPG kingpin came out, we’re seeing stuff that’s practically professional-quality. 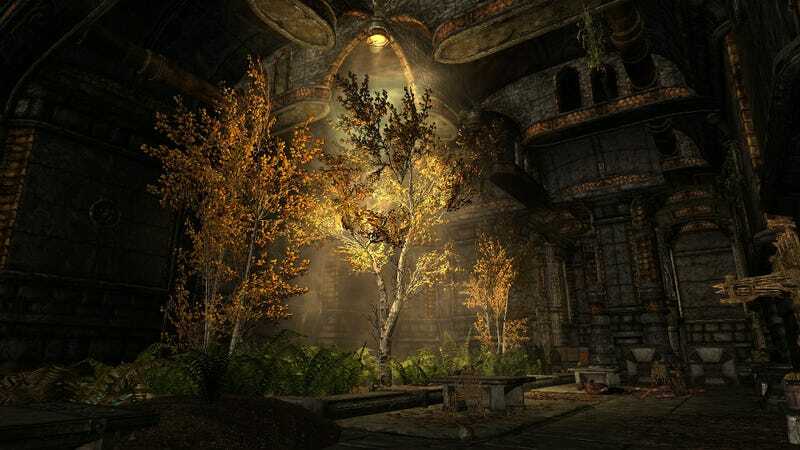 The mod will function as a “lore friendly” addition to Skyrim with its own “intricately detailed” city, a non-linear murder mystery story that involves time travel, and 30 characters with 1200 voiced lines of dialogue. If the trailer’s anything to go on, the voice acting sounds pretty solid, too. That’s important because, in order to solve the mystery, you’ll apparently be interrogating a lot of people. I hope I get to play good cop, bad khajiit and tell suspects they’re under arrest for committing TIME CRIME. The Forgotten City will be available for download on Steam and ModDB sometime in October. Hopefully people won’t actually forget about it, what with that whole Fallout 4 thing happening a few weeks later. Don’t get me wrong: I have room enough in my heart for two, but time enough in my schedule? That might be a different story.